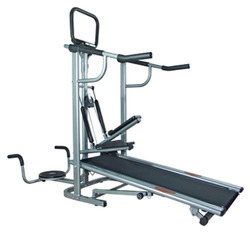 We are a reputed name in the industry, devoted towards offering the best quality array of Gym Jogger Machine. Tready- The only treadmill that can be moved and stored anywhere, easily! 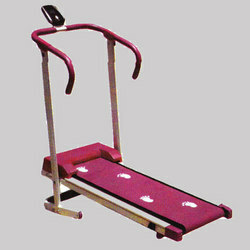 Heck, it's only 25kg and 5"
Our organization is indulged in offering Jogger Machine to our clients. This enables them to offer an international quality standard product range. With durable finish standards and operational fluency, these are extensively used in various areas. 4 in one manual treadmill roller type. - Comfortable, durable and high intensity running board.